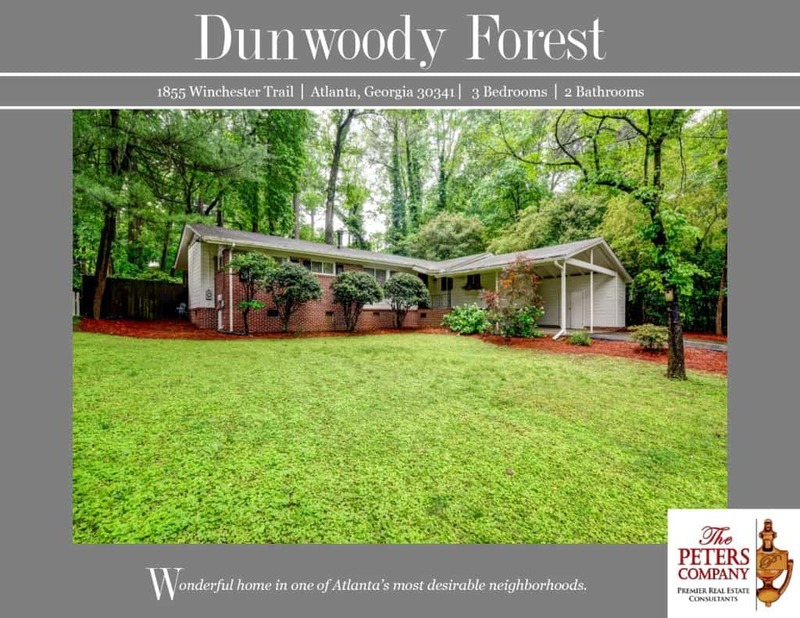 Just Listed :: Charming Ranch in Dunwoody Forest! Welcome Home! Nestled in the popular Dunwoody Forest neighborhood, this home is just what you’ve been looking for! The flowing floor plan, custom features, and charming character will never go out of style. The close proximity to Chamblee Dunwoody Road, I-285, and GA400 makes it convenient to and from any direction. Being in this wonderful location also means you can enjoy many nearby restaurants and shopping spots! Outdoor enthusiasts will love being only minutes from Murphey Candler Park and Blackburn Park! This home is also located in a highly sought after school district which includes Montgomery Elementary! Light and bright kitchen features stainless steel appliances and ample cabinet and counter space. Natural light pours into the living room with cozy wood-burning stove. Spacious family room provides additional living and lounging space. Gleaming hardwood floors are carried throughout the home. Master suite is a true retreat including dual closets and a private master bathroom. Screened-in porch and large deck are perfect for outdoor enjoyment and entertaining and lead to a huge backyard. Two car carport easily fits vehicles with additional storage room. ← Just Listed :: Gorgeous Traditional in Rose Arbor Neighborhood!